Kyrie Irving and the Celtics (25-18) return to Boston looking to right the ship after a 3 game road trip turned into a disastrous 3 game losing streak. They have their work cut out for them as Kawhi Leonard & the first place Toronto Raptors (33-12) visit TD Garden looking to assert their dominance over the Eastern Conference. 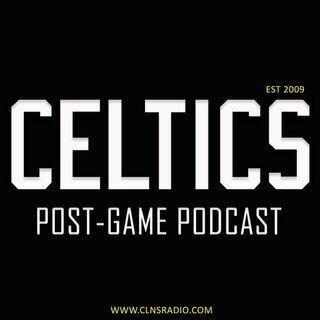 Triple threat OG hosts Bobby Manning, Nic Sciscento & CLNS legend Jon Duke will be breaking down all of the action and ... See More taking calls for a full hour beginning at 10:30 p.m. as soon as the final buzzer sounds at TD Garden.